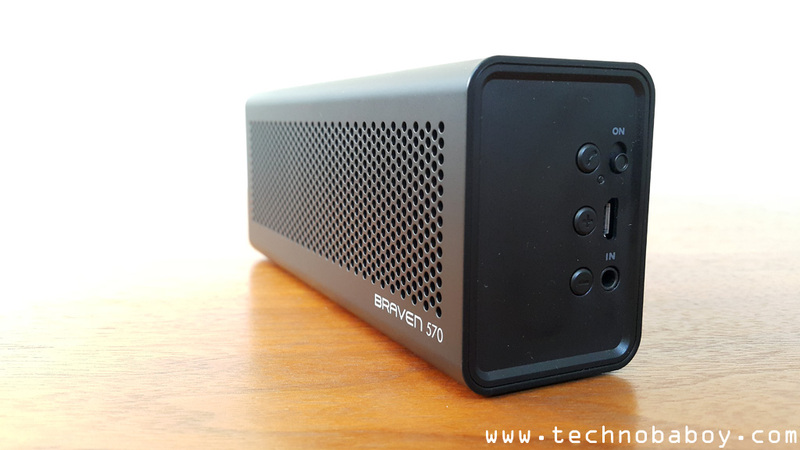 Braven has slowly built a reputation for building products that look good and perform well. 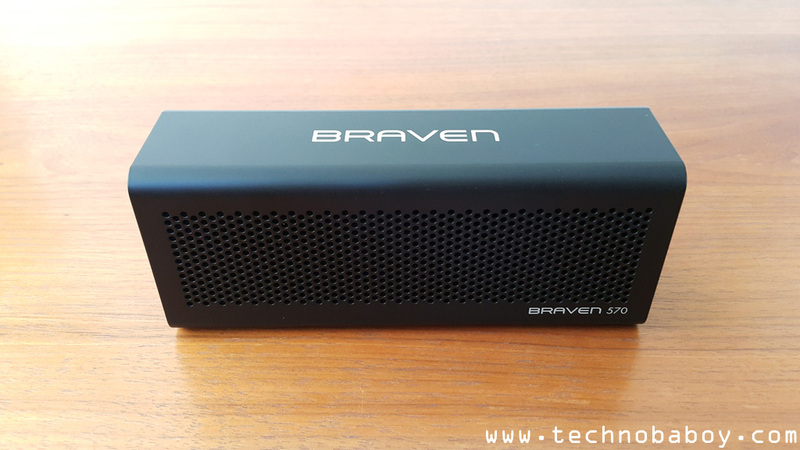 The Braven 570 is no exemption. 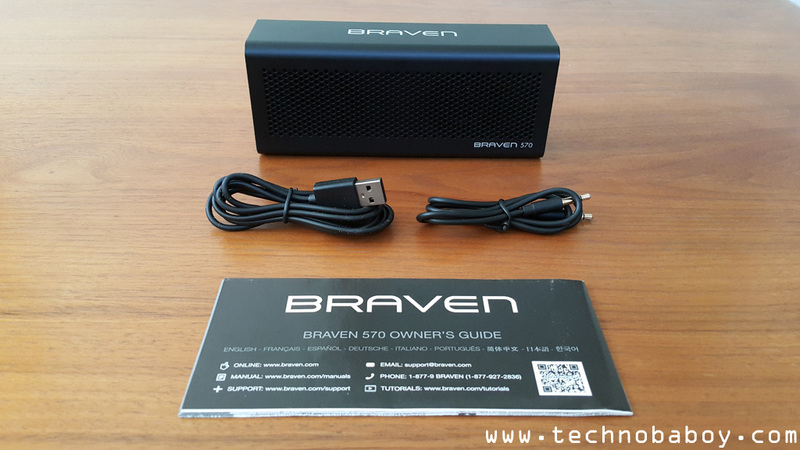 The Braven 570 is a rectangular shaped Bluetooth speaker that weighs a light 312 grams. Measuring in at 6.25” x 2.5” x 1.75”, the 570 is relatively small and surprisingly lightweight. The speaker is quite attractive, featuring a minimalist design with a clean and simple look. The 570 features identical speaker grills on both the front and the back sides. It is made of a good quality, “impact resistant” plastic material that looks and feels good to touch. The build quality is definitely good. On hand, even with the light weight, it feels quite solid and sturdy. Underneath the front grills are two 40mm. drivers capable of 6W of power. The similar looking back grill hides the 40mm. passive subs. On the right side panel, you will find the power switch, volume control buttons, the micro USB charging port and the line in port. The left side has the battery status button with LED, the line out port and a full USB port that can charge other mobile devices. You can daisy chain other speakers through the line out port, but doing will just duplicate the sound and won’t give you that stereo surround effect. The 570 comes with a micro USB cable, a 3.5mm audio cable and an owner’s manual. There are two ways to connect to the 570 – though the provided 3.5 mm audio cable and through Bluetooth. Connecting to it is easy enough. Just turn on the speaker and connect using the phone’s settings. 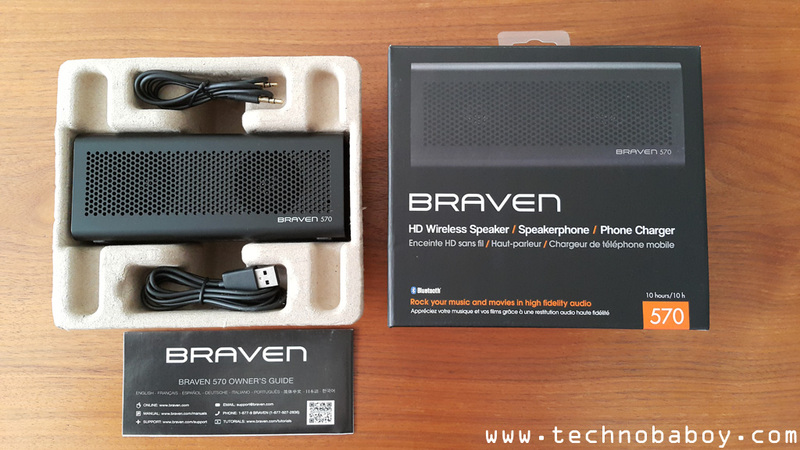 When it comes to audio performance, the Braven 570 will not disappoint. The speaker packs enough punch to fill a medium to large sized room. Sound is crisp and clean. Bass is substantial and is good enough for most tunes. I noticed that distortion sometimes occurs at max volumes, and the speaker sometimes vibrates when there is too much bass. Neither are deal breakers and most won’t probably notice it. The 570 is powered by a 1,200mAh battery that can give you up to 10 hours. It may vary depending on the volume of the speaker, and whether if you use it to provide a quick charge for your phone. And speaking of charging another device, the speaker won’t give you much power, but it’s good to know it can give you a little juice for those times that you really need it. 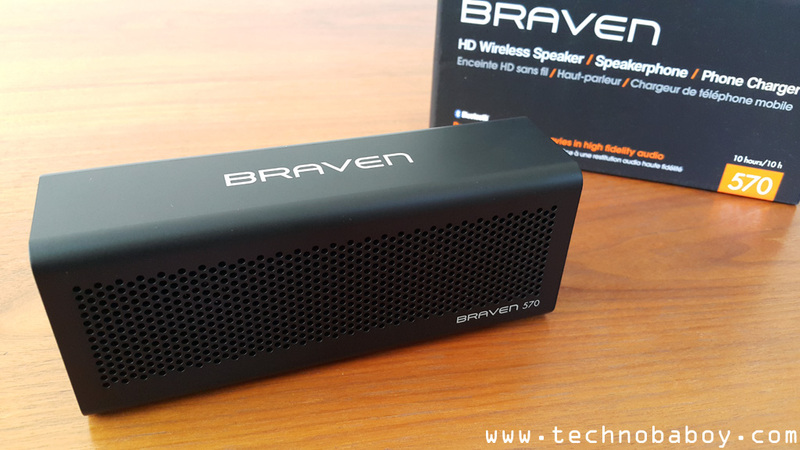 The Braven 570 is a solid performer. It does well in what matters most – sound quality. Build quality is outstanding and it does feel very solid. 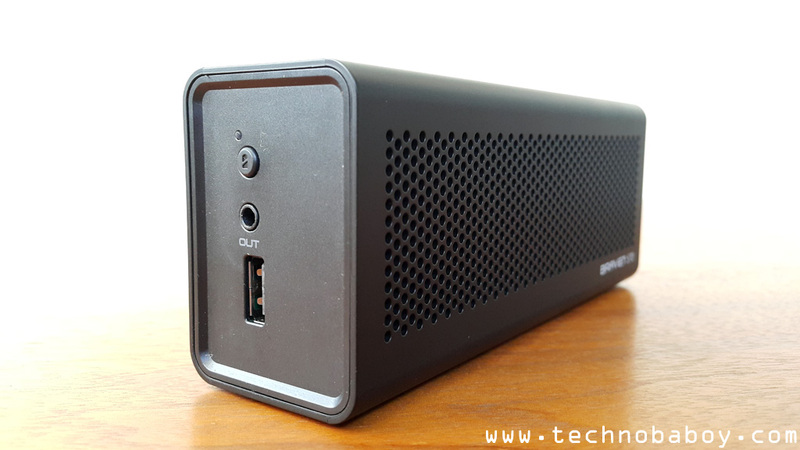 The combination of good audio performance and light weight means you can easily throw it in your bag and bring it with you. It probably has the most to offer at this price point. The ability to charge other mobile devices through its USB port is a nice bonus. It’s definitely a speaker to consider if you’re looking for a balance between good audio performance and affordability. 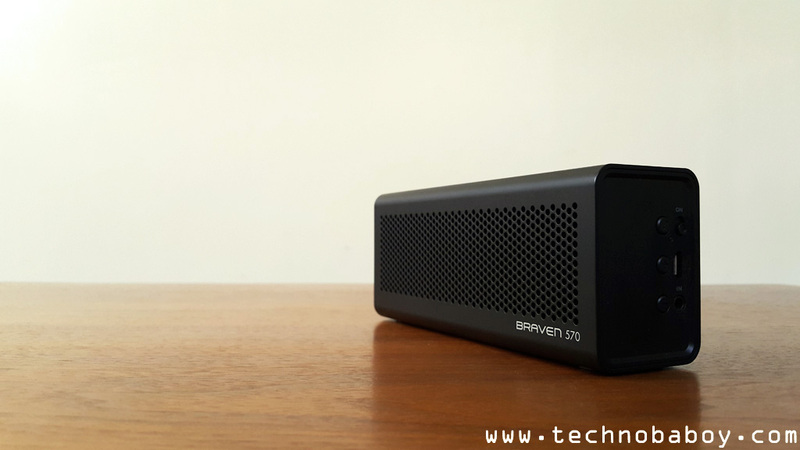 The Braven 570 retails for P3,950. You can get it at any Digital Walker boutique store nationwide. It is distributed by Digits Trading. For more information about them and their products, please visit their Facebook page (https://www.facebook.com/digitstrading). Xiaomi set to live stream launch launch of thin flagship on January 15. Is it the Mi5 or the Redmi Note 2?